by Metro Manila Development Authority (MMDA). 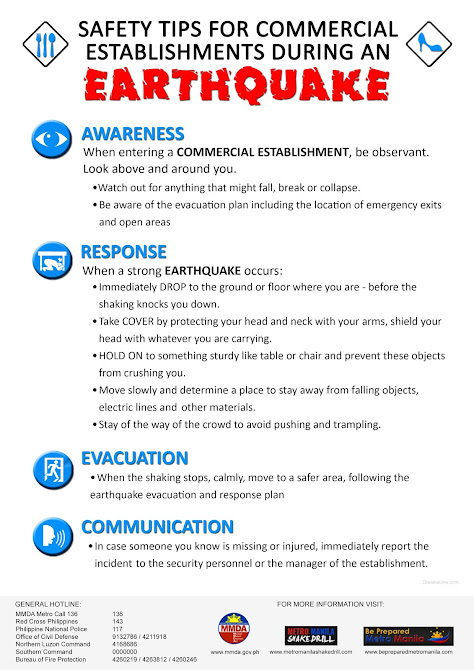 Safety tips for Commercial Establishments during an Earthquake. 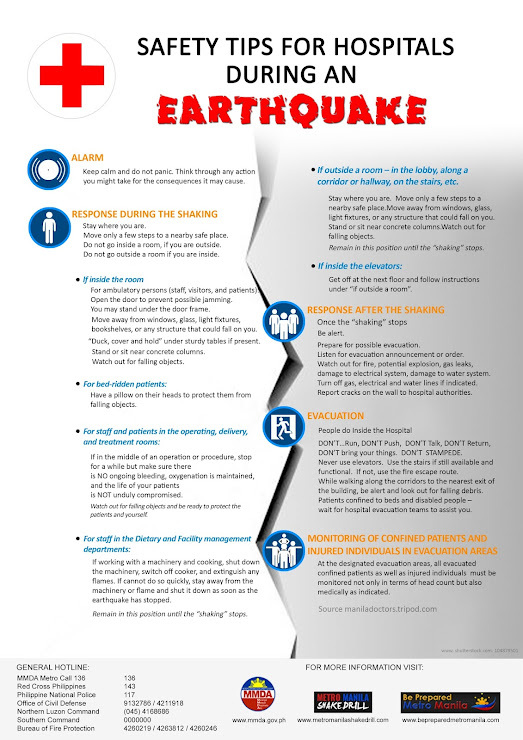 Safety tips for Hospitals during an Earthquake. 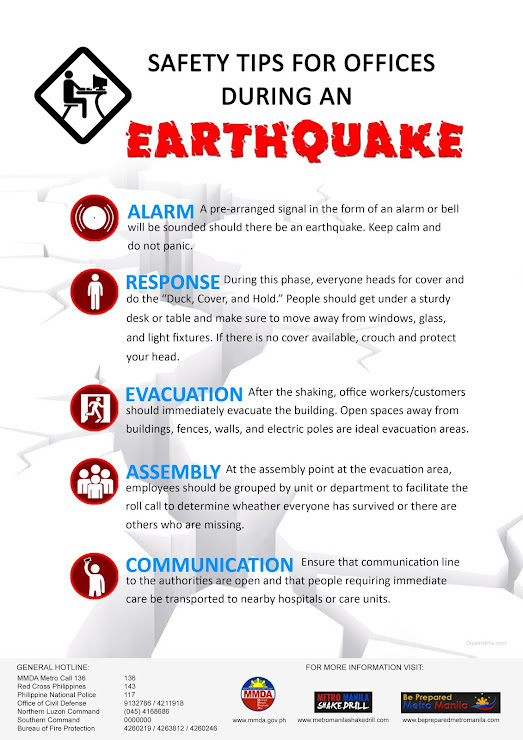 Safety tips for Offices during an Earthquake. 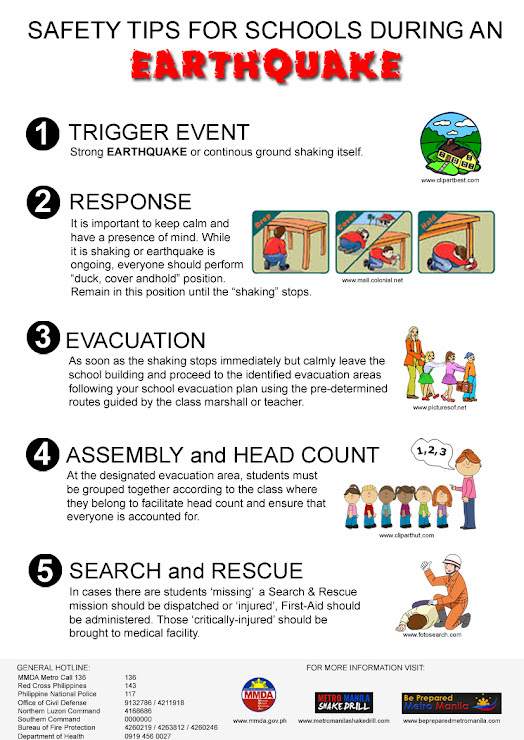 Safety tips for Schools during an Earthquake.